'...funny, heartbreaking, exquisitely written and, without doubt, a literary masterpiece and a classic.' --This text refers to an out of print or unavailable edition of this title. 'A magnificent novel.' --This text refers to an out of print or unavailable edition of this title. 'Adichie is part of a new generation revisiting the history that her parents survived...' --This text refers to an out of print or unavailable edition of this title. 'Full of drama and characters you care about, this is an educational and enlightening read.' --This text refers to an out of print or unavailable edition of this title. 'Adichie uses language with relish. Adichie's English is infused with rich poetry.' --This text refers to an out of print or unavailable edition of this title. 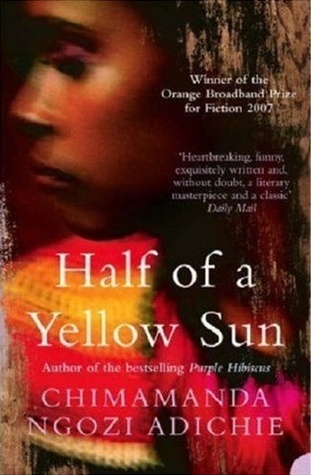 'What a travesty that Half of a Yellow Sun is not in contention for the Booker prize this year.' --This text refers to an out of print or unavailable edition of this title. 'The novel sustains the interest with its engaging characters and its mostly artful simplicity of style.' --This text refers to an out of print or unavailable edition of this title. Winner of the Orange Broadband Prize for Fiction 2007, this is a heartbreaking, exquisitely written literary masterpiece. This highly anticipated novel from Chimamanda Ngozi Adichie is set in Nigeria during the 1960s, at the time of a vicious civil war in which a million people died and thousands were massacred in cold blood. The three main characters in the novel are swept up in the violence during these turbulent years. One is a young boy from a poor village who is employed at a university lecturer's house. The other is a young middle-class woman, Olanna, who has to confront the reality of the massacre of her relatives. And the third is a white man, a writer who lives in Nigeria for no clear reason, and who falls in love with Olanna's twin sister, a remote and enigmatic character. As these people's lives intersect, they have to question their own responses to the unfolding political events. This extraordinary novel is about Africa in a wider sense: about moral responsibility, about the end of colonialism, about ethnic allegiances, about class and race; and about the ways in which love can complicate all of these things. Q: What led you to write a book about the Nigeria-Biafra war? steps, paint on a smaller canvas first, before starting the novel. research did you do to prepare for writing this book? of that sort that I found out tiny details that are important for fiction. history as time passes and that it becomes less important to Igbo culture? country but which continue to resonate for many Igbo people. why you framed these characters the way you did? does come to act more and react less as we watch him come into his own. the war but I wanted him, also, to be human and real - and needy! is not yet ready to laugh at the once-shiny rusted things. sentences in them that will always move me to tears. or scene, that quality of emotional truth. Chimamanda Ngozi Adichie was born in Nigeria in 1977. She is from Abba, in Anambra State, but grew up in the university town of Nsukka, where she attended primary and secondary schools. She went on to receive a BS in Communication and Political Science from Eastern Connecticut State University and an MA from Johns Hopkins University, both in the United States. Her short fiction has been published in literary journals including Granta, and won the International PEN/David Wong award in 2003. 'Purple Hibiscus', her first novel, was shortlisted for the Orange Prize and the John Llewellyn Rhys Prize and was winner of the Hurston/Wright Legacy award for debut fiction. She was a Hodder fellow at Princeton University for the 2005-2006 academic year. She lives in Nigeria.